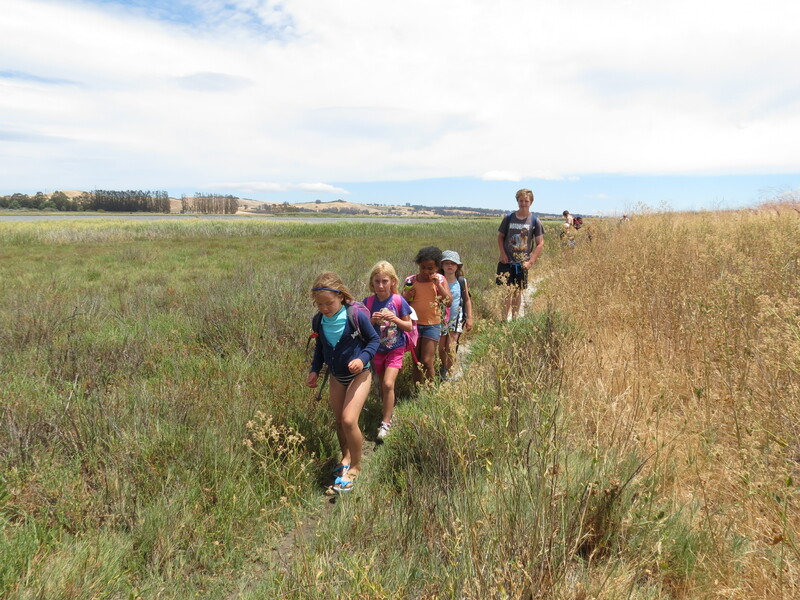 Friends of the Petaluma River » PLAY – Nature Programs start Sept. 9th! 2017-18 NATURE IMMERSION PROGRAMS ARE HERE! All camps take place one Saturday each month at Open Field Farms in Petaluma. Participation in all dates is not required but is highly recommended as lessons and skills build throughout the immersion program. Hours are 9am to 3pm each day. Fox Kits gives boys and girls ages 6 – 8 a chance to immerse themselves in the natural world of the Petaluma Watershed. At this age children are still discovering their environment. Fox Kits seeks to strengthen this connection and create a sense of comfort in young people out in nature. By engaging youth in meaningful play, exploring the watershed and letting our imaginations be wild we will foster a sense of place and an appreciation for nature. Elderberry Blossoms supports young girls, 9 to 12 years of age, in developing strong and healthy relationships with themselves, their peers and nature. In a time of transition into adolescence Elderberries provides a foundation allowing for a deepening in their connections to the Earth, and growth in skills, capabilities and curiosity. We will gather over the Winter and Spring months exploring the Watershed; hiking, navigating the River via paddle boats, making herbal medicine and culinary creations, creating primitive fire including cooking over the fire, wild-crafting with both edible and medicinal plants, basic rope making, sewing and more. We will end in the Spring with an overnight camp out and celebration. Based in practices of nature connection, Badger Tracks will work with young boys, 9 to 12 years old, transitioning toward adolescence to build deeper and resilient relationships with themselves, others, and the natural communities around them. Over the course of the spring and winter, youth and mentors will meet monthly to immerse ourselves in the natural communities of the Petaluma River Watershed, engaging in practices aimed toward greater awareness of and connection to this place and to ourselves in it. These practices will include animal tracking, wild-crafting, earth-based skills, learning to work with wild edible and medicinal plants, and more. We will work together in developing healthy peer to peer and mentoring relationships. We will end in the Spring with an overnight camp out and celebration.